Fuki Commune is the only female ex-member of LIGHT BRINGER, Fuki’s solo project. The project name comes from the image of her forming a commune with her friends. She made her debut as the vocal of LIGHT BRINGER. Her prominent high tone voice and its volume gives her unique presence in Japanese heavy metal scene. Her strong metal vocal production with clear sparing quality mixed with her emotional , almost theatrical style is her big catch. As well as her career as the front person of the band, she also does narration for TV shows, MCs on a radio program, and sings for video games’ character songs. Since childhood, she has liked novels, comic books and anime, especially “Jojo’s Bizzare Adventure”, as she claims herself. She also belongs to an indie magazine club named “Unlucky Morpheus” by the name of Tenge Fuyuki, communication with fans since 2008. 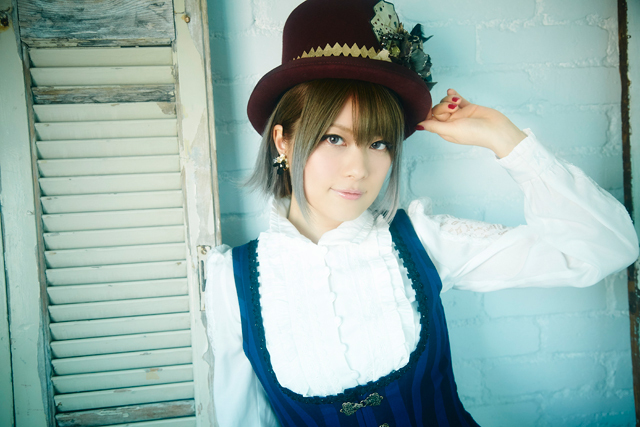 Her career varies from that of a singer, Fuku, to Tenge Fukuki releasing her indie CDs and giving performances. She got signed to Amuleto in 2016. She started her solo project Fuki Commune with “Strength”, the ending theme song for TV anime “Teraformers Revenge”.